This modern and welcoming hotel boasts spacious rooms and a lovely spa to relax in. It is perfectly located in the Linen Quarter of Belfast city centre - ideal for visiting the Titanic Exhibition, the Cathedral Quarter or shopping at Victoria Square. Our members can enjoy dining discounts and free access to the Wellness Centre. 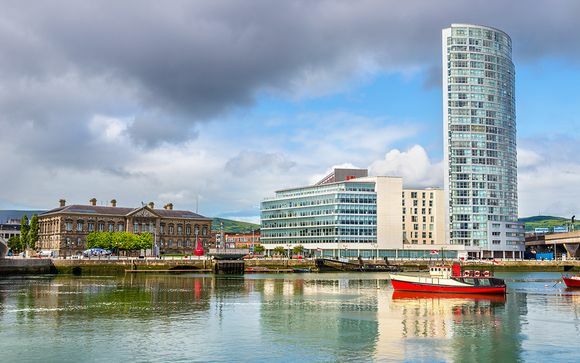 Belfast is such a vibrant city teeming with diverse attractions, it's no wonder it's been recognised as one of the best city destinations in Europe. Being a compact city makes it easy to immerse yourself by foot in this historic town so don't limit yourself to this list, put on your walking shoes and explore! From the hotel, you can walk along Bedford Street which will take you to the heart of the city where the iconic Belfast City Hall is located. This is where you can take the Hop on Hop Off Bus or if you prefer to continue walking, you can go south towards Donegall Square East and Anne Street where you will pass by Belfast’s premiere shopping centre, Victoria Square. Not far from here, towards Bridge End, you will see the city’s well known landmark, Prince Albert’s Memorial Clock. Continue southwards along Victoria St and turn left at Talbot St and you will see the Romanesque structure of St. Anne Cathedral. You are now at the centre of Cathedral Quarter – home to an array of restaurants and pubs against the backdrop of beautiful old streets and buildings. From here, you can either go back on yourself and cross Bridge End which will take you to the SSE Arena, the country’s premier entertainment venue, Titanic Belfast, the world’s largest Titanic visitor experience, and Harland and Wolff, world famous shipyard where Titanic was built. 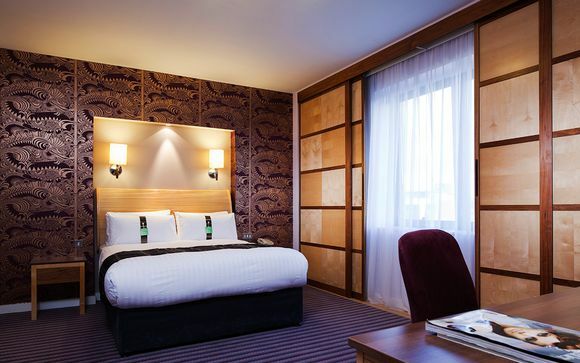 This four star hotel is perfectly located within the Linen Quarter of Belfast city centre, ideal for visiting the Titanic Exhibition, a night out at the Cathedral Quarter or shopping at Victoria Square. The only hotel in the city centre with a swimming pool, Clayton Hotel's facilities include Jacuzzi, sauna, steam room, fully equipped gymnasium, and a beauty spa. A warm welcome awaits at the bar and lounge, serving local whiskies and traditional pub food. Or, if you fancy a more sophisticated evening, head to the restaurant for local flavours and views of Belfast’s Linen Quarter. This offer is based on an Executive Room. Just for you:: Late check out until 2pm. The exclusive 7th floor is home to Executive Rooms, for those who want a little bit extra luxury. Lie back on the 100% Egyptian linen with oversized pillows and listen to your favourite music through the Bluetooth docking station. Indulge in room service and a movie or try out all the little luxurious toiletries in your generous sized bathroom. This offer is based on a bed and breakfast stay. Just for you: Glass of prosecco on arrival & a 10% discount on food and drinks. Wanting to stay true to its origins, Clayton Restaurant incorporates local touches from its décor to the food they serve. As you walk in, you will not miss the unique chimney pots lined along the far end of the wall, salvaged from old Belfast homes. The dark, earth tone hues of the dining area gives a dramatic backdrop for a nice evening meal while its floor-to-ceiling windows on the adjacent wall creates a more relaxed ambience during the day. Fresh, local and seasonal are the bywords and the mantra the chefs go by when creating their menu – from the healthy Vitality breakfast to the chef’s signature dishes served during lunch and dinner. Innovative dishes using locally-sourced ingredients like goat’s cheese from Fivemiletown, smoked Salmon from Glenarm and seafood from Country Down is what makes dinner at the Clayton Hotel Belfast special. Try their Keenans locally cured whiskey and maple salmon fillet or their own twist of Irish classic favourites like the Slow-braised shank of Irish lamb and Belfast ale battered catch of the day – all cooked to perfection! The bar and lounge area is the perfect place to relax and unwind after a day sightseeing or shopping. It serves Irish pub food with a good selection of beers, wines and spirits. Just for you: Free access to the Wellness Centre. 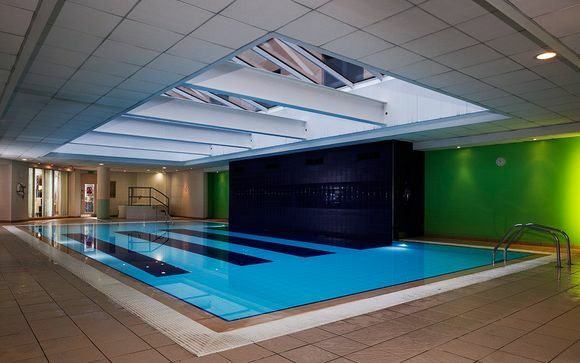 Clayton Hotel Belfast’s spacious Leisure Centre is ideal for unwinding after a long day or working up a sweat in the fully equipped gymnasium. As well as a 15 metre pool, the wet area also boasts a sauna, steam room and Jacuzzi. The dance studio offers a range of classes. The spa offers a range of treatments that can rejuvenate and pamper you during your stay.